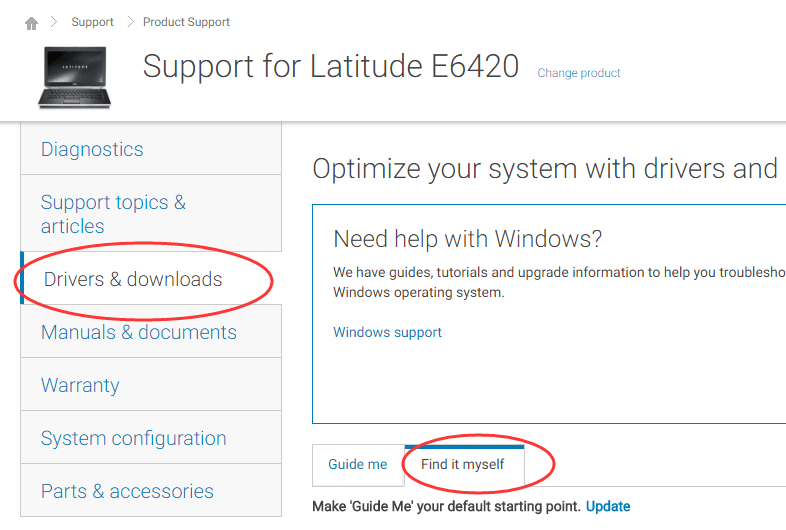 Many users are searching for the ways to download drivers for their Dell Latitude E6420. There are many ways throughout the Internet, but not all of them are safe and trustworthy. If you keep searching a way for it, this post is exactly for you then. In this tutorial, we will be showing you two reliable ways to download Dell E6420 drivers easily and quickly. Please take your time viewing on it and choose the way you prefer. 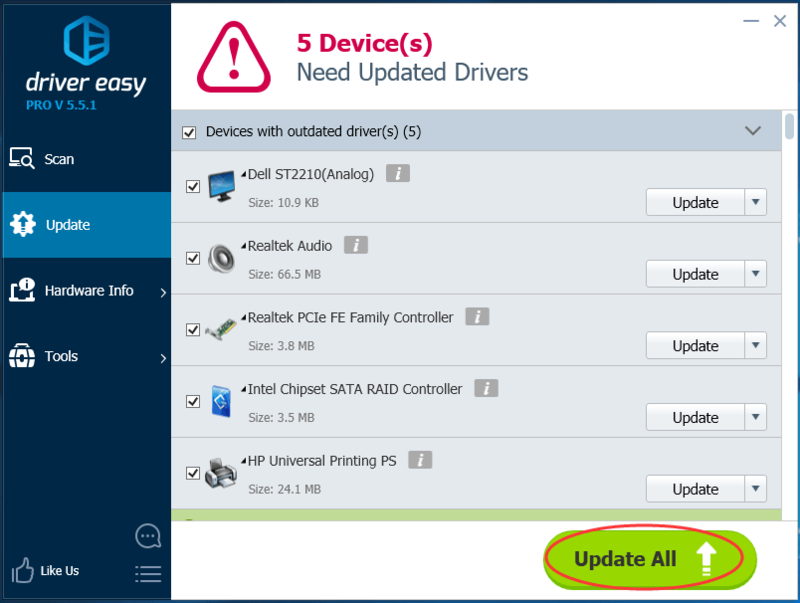 For the first way, you can choose to download the drivers from Dell website. Follow the steps below. 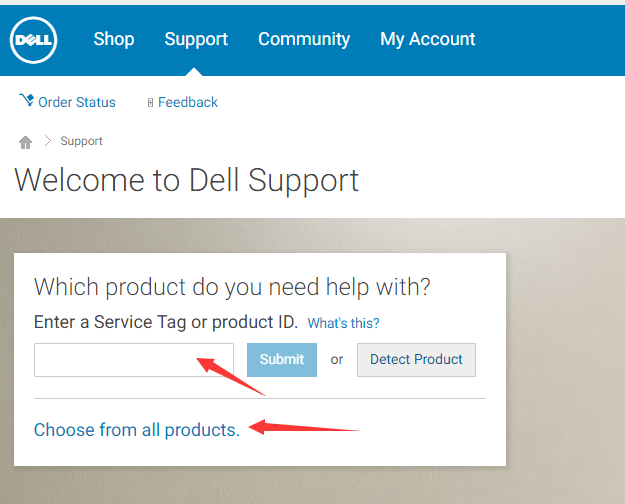 1) Head to Dell product support center. Locate your product model number by entering the number or choosing from all products. 2) On the open page, click Drivers & Downloads on left side and Find it myself on the right side. 3) Scroll down and expand the dialog for which you want to download new drivers. Then click Download of the driver file. 4) After finish downloading, double-click on the downloaded .exe file and follow the on-screen instructions to install the new driver on your E6420. If you are having troubles finding the correct drivers or you just want to make it easier and quicker, follow Way 2 please. Driver Easy is a truly safe and help driver tool. It can help you scan out all the missing and outdated driver in a just few seconds. And it will provide the latest and compatible driver for your device automatically. You can try its Free version, and install the drivers one by one. But if upgrade to Pro version, you can update all your missing and outdated drivers automatically with just one-click — Update All. No worry to try its Pro version as it comes with a no-questions-asked 30-day money-back guarantee and professional tech support 24/7. Such a charming driver tool. Never miss it. Try now. After finishing updating your drivers, restart your Dell E6420 to make the new drivers take effect.